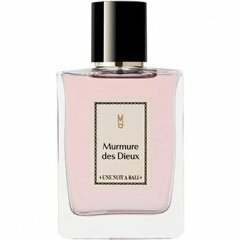 Une Nuit à Bali - Murmure des Dieux is a perfume by Une Nuit Nomade for women and men and was released in 2016. The scent is creamy-spicy. The longevity is above-average. It is still in production. When I looked at the bottle with the elephant god, sitting in the middle of exotic flowers, next to a scent lamp, I had to spray immediately, because I expected an esoteric, spiritual scent, which one could wear well in yoga. I tuned into the ethereal and sprayed with devotion. A little prudence can never hurt. But I remembered Mamas loved, but less loved Minestrone, which she loved to serve. I am and have never been a good eater - and the sight of floating fennel and celery pieces on my plate did not just fuel my appetite. The aroma of lovage, cardamom and curry bit into the nose, and also gave the whole Creation a strange color. Also the assertions of my ma that she had cooked everything "with love" made me feel guilty - but did not promote my appetite. I spent hours brooding over the brew - full of teachings about healthy vitamins and the heartfelt wish of my ma - I should become "big and strong". But I wanted to stay small and weak - instead of having this last meal. This unhappy soup ceremony awakens Murmure in me - and I spontaneously treat myself to a coup nougat ice cream with an impressive cream topping. By the way, I have actually remained small and weak - but a household bottle of Murmure won't change that. Write the first Review for Une Nuit à Bali - Murmure des Dieux!